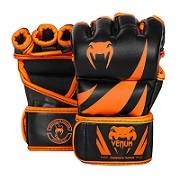 Top Pro Sports Limited - Top Pro Boxing, Top Pro ITF, Nike Boxing Shoes, STING AIBA Boxing, VENUM MMA. 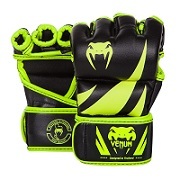 - Top Pro Boxing, Top Pro ITF, Nike Boxing Shoes, STING AIBA Boxing, VENUM MMA. Top Pro Sports Ltd. was first established in 1989 in Dublin, Ireland. We started out with the Launch of The Martial Arts Shop in Aungier Street and progressed into the Manufacturing side of the business several years later. Since then we changed and restructured the business, focusing mainly on Boxing Equipment, Muay Thai, MMA, Jiu Jitsu & ITF. As a leading Manufacturer we developed and marketed our own range of products and supply to 31 Countries Worldwide. We now produce the World's leading ITF uniforms and have Distributors in over 29 countries around the globe. Our Companies Main Goal: Is to strive for perfection in the manufacturing of our products and search for the Ultimate Protection in our safety products. We continuously look for new innovative ways to improve our products through our dedicated Product Development Team. This team consists of many World Champions and include some of the Worlds Leading athletes in COMBAT Sports. It's important for us that we keep ahead of our competitors so as you can focus more on keeping ahead of yours. Top Pro Sports understands the needs of its customers because we listen to them. Together with our knowledge in manufacturing and high spec digital machinery at our factory it results in us producing some of the best products available on the market today, establishing Top Pro Sports Ltd. as a True Industry Leader. We have set the standard for all other companies to follow, and anything else is just a compromise. We never claim to have invented Sports Equipment, " We Simply made them Better "
We invite you to browse our secure site and thank you for shopping online.